Sunday marked the 500 day mark until the 2014 World Cup in Brazil. The US Men’s National team plays their 1 and only “friendly” Tuesday before they jump into their 10 game World Cup qualifying schedule. They need to finish in the top 3 to earn a spot in next summer’s tournament. The “friendly” against Canada is really a showcase for the players. 16 players have less than 5 caps (games with the National team) and 8 have never played a match for their team. Many notable players will be missing from the lineup such as Landon Donovan, Clint Dempsey and Tim Howard. But this game isn’t so much a place for the veterans as it is a chance for Head Coach Jurgen Klinsmann (whose been taking a chopper to and from practice) to try out some new blood. In the January camp leading up to the match against Canada, Klinsmann brought in some of the rising stars of MLS like Will Bruin, Omar Gonzalez, Matt Beslar and Graham Zusi. These players will have to become major staples of the team if the US is to make it deep into the 2014 World Cup. Klinsmann himself has said that MLS is ‘getting stronger every year’ and if that’s the case then those players should be making a even bigger impact on the National team. Keep an eye on the back line tonight. If players like Gonzalez, Besler and even AJ DeLaGarza can show that they are up to the challenge of National team play then the US will be in good shape going into qualifying. If none of those players step up and really take control then the US may have to score 4 goals a game just to make it to Brazil. 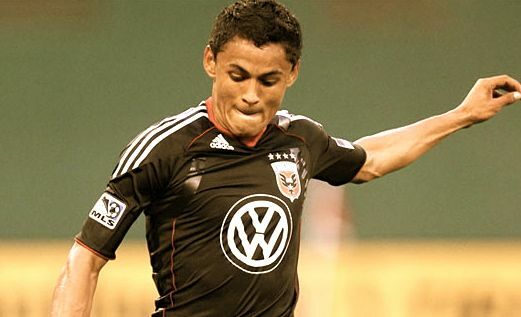 MLS held the 14th edition of their Superdraft on Thursday January 17th. It was broadcast at times in the US on ESPN and on some outlets in Canada. The entire thing was streamed live on their YouTube channel and from the what we can tell peaked with around 10,400 concurrent views. That means that 10,400 people were watching at the same time. That’s pretty good. In fact the entire thing was pretty great with a few exceptions. 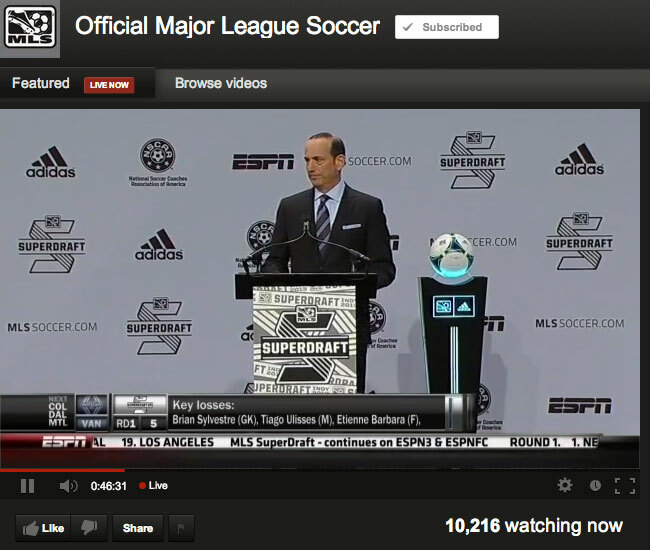 The first being Commissioner Don Garber’s speech at the start of the draft. While probably important to the MLS brass it was in all reality a waste of time. A short welcome is OK but a 5 to 10 minute thank you-fest is really unnecessary. Fans are watching. The ones who buy tickets, jersey’s and the MLS Direct Kick package. Gain more of them by starting the draft and the sponsors will be happy later. Thanking the sponsors and the NCAA for 10 minutes on a live broadcast is not a way keep the fans happy. The second unfortunate thing about the draft is the unfimiliarity with the players. Contrast the SuperDraft with the NBA or NFL drafts where the average fan knows who some of the players are who are being drafted. The fact is that college soccer isn’t commanding major time slots on broadcast and cable television outlets. So when Toronto FC walks away with 2 first round picks and makes several trades in the process the average fan has no idea if this good or bad. It’s not MLS’s fault but it’s not the airlines fault either when your flight is delayed due to weather but they take the anyway. The final thing that MLS must address in future SuperDrafts is the timing. While a Thursday afternoon in January usually seems like a great time to have the sports stage it’s still a Thursday afternoon in January. They’d have been better served to do the draft this upcoming Saturday when their only competition is college basketball and hockey (the opening day for the NHL this season but that only happens once every 10 years or so). If they did Saturday vs Thursday one could argue that the 10,400 concurrent views may have been 12-13 thousand. You cannot control other sports and lord knows that the MLS had no control over the other sports stories grabbing headlines this week. From the Lance Armstrong doping admission to Oprah, to the Manti Te’o girlfriend hoax to the NFL playoffs and various NFL head coaching positions being filled. They still do control the day and Thursday is not a good day. The MLS wants to grow and by having a SuperDraft look and sound as good as it did today is another great step. The stream worked (which is always key) the commentary by Alexi Lalas and Taylor Twellman was top notch and the interactivity was second to none. If you were on twitter you noticed that the picks came in about 10-20 seconds before they were announced (that’s your encoding delay from satellite to the Internet). MLS is making this an event and you can only hope that in future drafts there is more hype and build up and with that comes more interest. With more fan interest comes more success for the MLS and in turn soccer in the professional sports landscape. Sideline Signals recently highlighted the recent comments by FIFA President Sepp Blatter and his criticism of Major League Soccer. Blatter said it’s been 18 years since the United States hosted the World Cup and the country still does not have a strong professional league. But it’s not for a lack of ways a player can join the league. A simple glance of MLS’ roster rules for 2012, and you may need more than a high word score on your SAT to understand the complexities of MLS as compared to the rest of the world. The more notable professional leagues around the world have a simplistic way of dealing with player movement. Signing a youth player into their academy and developing him from a young age. (Teams are given a ranking in reverse order from the previous season’s finish. When a US Men’s National Team player leaves a foreign league to play in MLS, the teams with the worst record the year before get first crack in acquiring the player. (Clubs may make a “discovery claim” on a player who does not have an MLS contract, and are not part of the league’s allocation ranking. 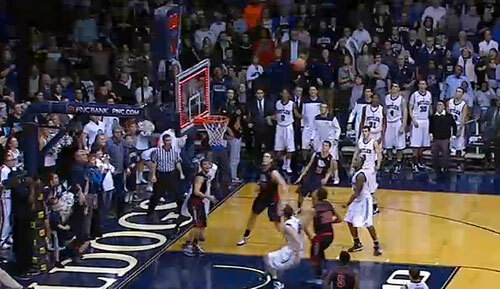 In short, this allows teams to call “dibs” on a player. (Similar to international clubs signing a youth player, this allows MLS clubs to sign the top youth players in their area and get around the draft process. 9. Claim player off MLS waiver. This complex set of rules isn’t to suggest MLS has to bend over backwards just to field a viable league. Merely, it suggests league officials who oversee competition have to work harder to make sure the league has parity, and the same teams are not the only teams competing for a championship year after year. Of note, former Real Salt Lake Forward Robbie Findley was released by Nottingham Forrest last week which clears his way back to MLS. Although the Portland Timbers hold his rights they apparently traded them back to Real Salt Lake. Everyone paying attention? The NHL Is Back! Does Anybody Care? The LA Kings hoisted the Stanley Cup on June 11, 2012. Champions of the NHL. They’ll begin their title defense on January 19th, 2013. That’s 221 days for those of you keeping track. 221 days since the NHL last played a game. 510 regular season games were cancelled due to the labor dispute that led to the NHL’s lockout. The 2nd in less than 10 years. The question everyone is asking now is, now that the NHL returns to the ice will there be anyone there to cheer them on? One of the toughest jobs in North America right now has to be that of a Marketing/PR person for the league and its 30 teams. From Miami to Winnipeg and Vancouver to Raleigh, people are trying to figure out how to get the fans back. Apologies have been posted, some more heartfelt than others, and deals galore. While no one has gone the overt route of free tickets & beer there have been some pretty good ones from the Pittsburgh Penguins and Tampa Bay Lightning. Are 25% discounts at the team store, free nachos, and the equivalent of $8 tickets enough to get people to come back to the arena? All the while battling traffic, paying for parking, and dealing with crowds? Will the fans return to the sports bars and buy food and drinks? Will they even watch when they’re at home? Will they care? The answer is that we’re not going to know until they drop the puck. People may say one thing and do another. Even the people who say that they are done with hockey may return next season. We just don’t know. The promotions help but PR and marketing can only do so much. Eventually the play on the ice has to be compelling enough for the people to come back. Right after MLS Cup 2012 we pointed out that MLS was running into some huge question marks when it came to 2013 season. No David Beckham and possibly no face of US soccer in Landon Donovan. 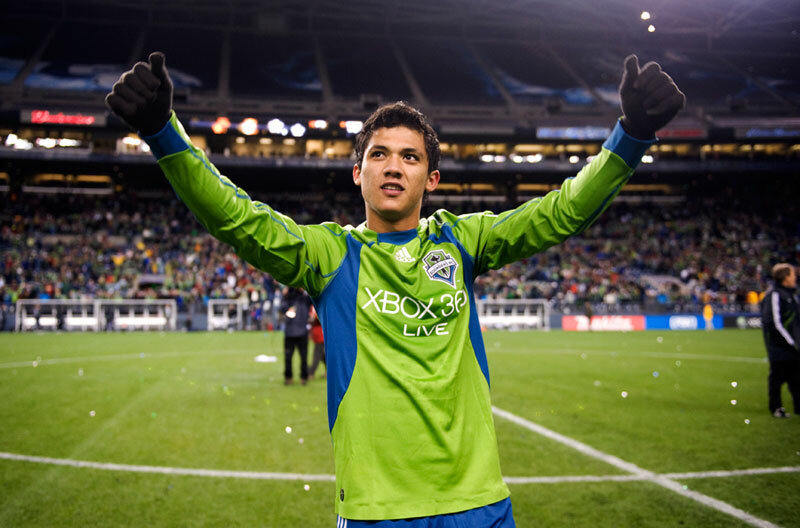 Now as it announces its 2013 schedule it’s faced with yet another loss, that of Seattle Sounders goal scoring maestro Fredy Montero. Montero had been Seattle’s main offensive weapon during it’s 4 MLS seasons. With his transfer to a Colombian club all but signed, MLS and the Sounders face the very real truth of losing a young goal scoring machine that they could have built a very prosperous future upon. Tie this into the release of the 2013 schedule and you can’t help but wonder if the travel has something to do with it. MLS is a hard league. While other North American sports are just as tough travel wise few leagues have the influx of foreign players that MLS does. From LA to New York, Montreal to Houston and Seattle to…well anywhere, the airline miles rack up pretty fast. Besides the time on airplanes, the MLS plays in 4 different time-zones and multiple climates and elevations. From the rainy soaked Pacific Northwest to the high altitude of Salt Lake and Denver to the heat and humidity of south Texas and the freezing temperatures of eastern Canada during the early spring. It’s a commitment to the team, fans, league and sport just to play a season in this league. Look at the Barclay’s Premier League. They play in a country the size of California’s Central Valley.Travel is a non factor their while in MLS it can mean the playing in the playoffs and having an early off-season.Does this travel affect foreign players? Absolutely. Does it shorten the career of US born players? Maybe. One can’t help but wonder how Landon Donovan would feel if he didn’t fly all of these MLS miles plus the US National Team plus the loan spell to Everton. The MLS should really look at this seasons exodus of talent and PR with a spoonful of salt. The scheduling needs to improve but before it can the league needs to get a 20th team in the door and fast. Whether it’s New York or Atlanta just get a team up and running. Having Montreal play matches at San Jose then in New York 4 days later in the first month of the season is just draining. There is a better way to do this, not a perfect way, but a better way and with that better way comes players like Donovan, Beckham and Montero sticking around with their clubs. A few days after Christmas, my father and I were riding around in his car straddling the state line between North and South Carolina when he asked me if Chip Kelly was leaving Oregon. When asked why, I told my father that I had a pretty good hunch that Kelly would stay in Eugene, because we went down a similar road last year, and I don’t think his offense would parlay into success in the National Football League. Much has been said over the past few days about Kelly’s “blur” offense at Oregon, and how versions of it is currently being used by the New England Patriots and Washington Redskins… and Kelly “wins” no matter where he goes. Could Chip Kelly win in the NFL? Yes. Enough to mirror his success at Oregon? No.Here’s a list of reasons why Kelly can’t win at Cleveland, Buffalo or Philadelphia like he can in Eugene. I’ll go into more details below. He can’t be his obscure, quirky self with members of the media in the NFL or with any of those fan bases. The University of Oregon football program has several exclusive perks. Most notable, it’s the school Phil Knight launched into the stratosphere. When 16 and 17-year-old boys watch the Ducks on television, they see hundreds of jersey combinations and Nike EVERYWHERE. It’s flash, it’s 80’s-era Showtime at the Forum, and Chip is like Magic running the break dishing to Worthy or Kareem. Like Tampa Bay last year, I believe Kelly realized the infrastructure in Buffalo, Cleveland and Philadelphia could not sustain his type of offense… and he would be out in three years at either location. Brandon Weeden, Ryan Fitzpatrick and Nick Foles cannot run Kelly’s offense as well as Jeremiah Masoli, Darron Thomas or Marcus Mariota. The three former quarterbacks are better for the NFL than for college… the three latter quarterbacks are better for Chip than the NFL. Kelly’s offense relies on speed more than anything else. In his UPS commercials, he notes the offense includes many simple patterns, but he emphasizes speed. The “blur” offense can work in college where talent is somewhat diluted, but not in the NFL. Right now, the spread offense is a gimmick that keeps defenses on their toes between multiple spread formations and 50-pass attempt per game quarterbacks. Oregon’s Win The Day motto resonates in young men better than 28-year-olds who have three homes and three cars. His message serves as a viable life lesson for an 18-year-old who just became eligible to vote, and who will soon play on national television for the first time. The message gets drowned out in a room of men who have had 3 coaches in their career. Motivating young men is much simpler than changing a grown man. If you’ve ever listened to Coach Kelly talk to a reporter, you know he’s an odd fella. He speaks differently, acts differently… and can be best described as “obscure.” It fits perfect in Eugene. It’s an obscure part of America… and he gets to fly under the radar of bigger national media on the East Coast. It’s tougher to stay up and watch the end of an Oregon game at 2am than it is to finish watching the SEC game of the week that ends at 7pm. Each city that showed interest in Kelly has a rabid fan base that does not tolerate failure. While success in Buffalo, Cleveland and Philadelphia has been tough to find the past few years, you need a coach who understands that and can speak to the blue-collar nature of their core fan base. Kelly has a frosty relationship at best with boosters in Eugene. It’s a relationship that could also put a strain on the fan base. 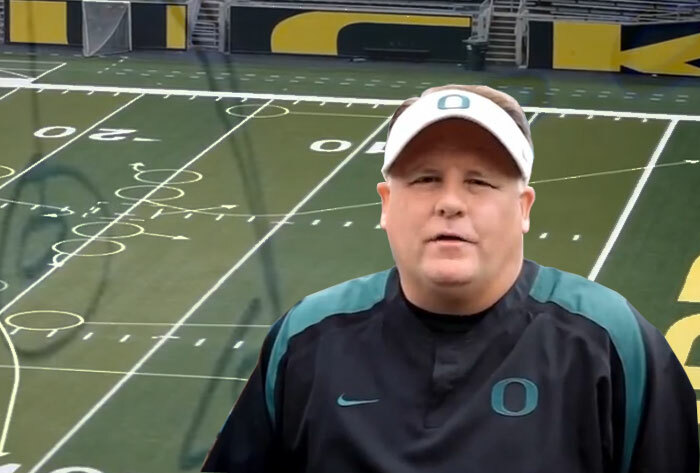 Chip Kelly will probably make the jump from Oregon to the NFL one day. But the time isn’t right, and it may never be right. 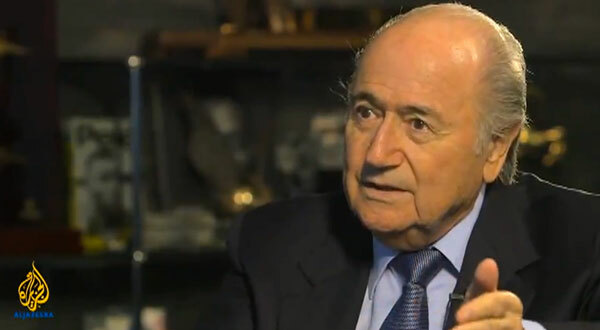 Sepp Blatter is the head of FIFA which is the world governing body of football (or soccer). He recently laid the wood to MLS in a recent interview on Al Jazerra TV. While Blatter has been the head of FIFA since 1998 and no doubt has a tough job he obviously has no idea about how to do business in North America. 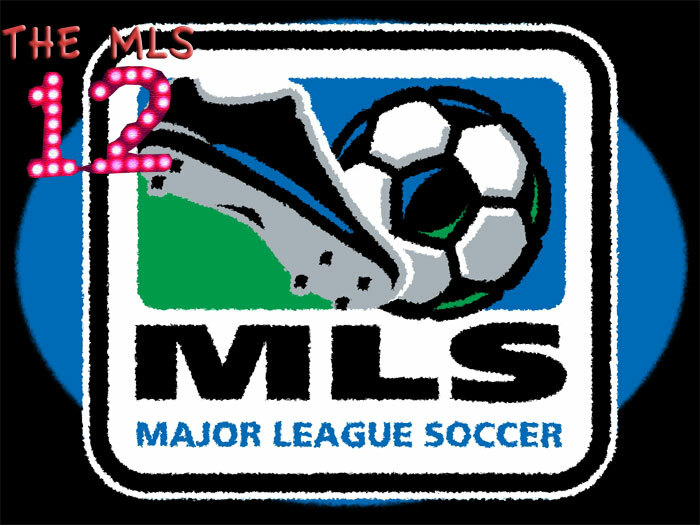 In North America, the MLS competes with the following sports for attention, space and airtime; NFL, MLB, NBA, NHL (When they play), College Football, and Mixed Martial Arts. That’s a pretty good set of competition. No other country in the world has that much competition and in every other country, except a few, football is the 800 pound gorilla. Not so in North America. That title belongs to the NFL or football as it’s called here. Blatter said that it’s been 18 years since the US hosted the World Cup and still does not have a strong professional league. In that time the MLS was formed and launched. It has expanded to 19 teams with 14 of those playing in their own soccer specific stadiums. Another team moving into it’s own stadium in the next year (San Jose) and the 2 others that share stadiums with professional football teams (Seattle and Vancouver). These last 2 teams also rank 1st and 6th in attendance respectively. MLS Commissioner Don Garber is a very smart guy. He came from the NFL so he knows what MLS is up against. He knows that MLS could not survive if it went to the normal FIFA schedule which is from August-May and competed directly with the NFL, NBA, College Football and NHL. He also knows, and has said in interviews, no one is going to go to a New England Revolution game in Foxboro, MA in January or February. They barley go right now during the summer (they are also one of the teams without a soccer specific stadium). MLS’s best bet is to keep it’s current schedule, take on Major League Baseball during the summer and the occasional UFC event. Blatter does not understand that. He has a one size fits all mentality. While he wants the game to succeed he does not understand how to do that in North America. Don Garber does. We can only hope that Blatter takes Garber up on his offer to go to an MLS match the opening weekend of the season. The word “hope” might be a stretch here too considering that Blatter has dismissed the use of goal line technology, replay and has been accused of corruption charges more times than…well probably anybody. The NFL has there own version of the coaching carousel just like the collegiate ranks do. In the NFL though all of the firings seem to happen on the same day. That day is sometimes known as ‘Black Monday’ and it takes place the Monday right after the final regular season games. This year seven coaches got handed their walking papers which was almost a record. What did they all have in common? Not one Super Bowl win as a head coach. Of the seven coaches (there were also five General Managers fired too) three of the coaches had led their teams to a Super Bowl but lost. All of them had been to a Super Bowl or won a Super Bowl as an assistant coach. This can be interpreted in manu different ways but the main one is that success as an assistant doesn’t always translate to success as a head coach in the NFL. Some of the seven fired coaches have already interviewed for other head coaching positions in the league. No concern that the coach couldn’t win a Super Bowl during his last job but this is being done while there are at least four former Super Bowl winning coaches who have at least expressed some interest in returning to the sidelines. Changing head coaches in the NFL and in the collegiate ranks doesn’t fit any other hiring or firing practices in business. Non compete’s go out the window, it’s highly doubtful that references are called and existing contracts are nearly completely neglected (except of course for the millions paid out for a coach to leave town). On the other hand most coaches, unlike their private sector counterparts, can see it coming a miles away. While football doesn’t follow any of the normal business rules when it comes to hiring and firing it does pervert the hiring and firing process in other industries. Because it is such a public event people sometimes take this as a guide (right or wrong) of how their company should go about making changes. Perhaps if the process was more transparent people would be more understanding of the unique nature of the coaching business. Then again, maybe not.